Workplace Insanity: Are You Part of the Solution, or Part of the Problem? What, then, can you do to change or discourage the team killers, and turn them into successful, productive team members? Communicate, communicate, communicate! Everyone needs to be on the same page, and that can only happen with effective communications (see What We've Got Here is a Failure to Communicate!). Force team members to present approaches that can work rather than simply complain about problems and why solutions can’t work. No complaints should be accepted without proposed solutions; if team members attempt this, send them away until they come back with some meaningful ideas to solve the problems (see Doing Things Right versus Doing Things Over). Don’t accept the glass as half full or half-empty. Instead, bring additional “water” to fill the glass to the top with new ideas (see Multiply by Sharing). A positive attitude is contagious. A negative attitude can become contagious. Therefore welcome, encourage, and even mandate positive attitudes, and refuse to accept negative attitudes (see Learn from Good Role Models; Learn More from Bad!). Encourage team members to think outside the box, particularly when things are looking grim. Brainstorm, and find new approaches that others haven’t considered (see Take the Time to Think!). If you can’t change the team killers, then let them know they’re not welcome, and get them off the team. 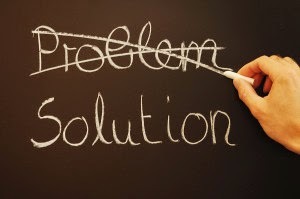 It is imperative that teams successfully solve problems. Everyone on the team must become part of the solution and not part of the problem!